A little over eight years ago, portions of Christchurch, New Zealand tumbled to the ground as an earthquake shook the foundations of that city. After the terribly tragic events of last Friday, where a hate-filled gunman — I shall follow the example of that mourning nation’s Prime Minister Jacinda Ardern and not put his name in ink or online — slaughtered 50 Muslims and injured dozens more as they gathered to pray, there are many now who seek comfort and consolation and the most basic of reassurances that indeed, everything is going to be alright. Certainly, Ardern’s gentle caring hand, guiding words, hurt and indeed sheer humanity suggests that yes, everything is going to be alright. There are those who seek leadership but don’t know what qualities it requires — British Prime Minister Theresa May comes to mind. There are those who lead and should never be in that position — US President Donald Trump comes to mind. And there are those who are leaders, who feel, who instinctively comfort, who provide the gentlest human touch that yes, everything is going to be alright. Just 38 — she turns 39 in July — Ardern has only been in power since late October 2017. She is the fourth female leader of New Zealand but only the second woman to give birth while in office anywhere in the world — Pakistan’s Benazir Bhutto was the other, back in 1990. This past week Ardern displayed courage and grace, frailty and tears, leadership and determination, courage and the sincerest sympathy, and the political will to ban all semi-automatic guns and large-capacity magazines of the kind used by that racist maniac. And for those on the opposition benches of New Zealand’s legislature, those who are critics, those who said she was too young to lead the nation of just over 5 million, her actions last week say otherwise. Her daughter, Neve, was born to Ardern and her partner, 41-year-old television presenter Clarke Gayford last June, and the prime minister was back on the job six weeks later. Little Neve is the youngest person to be ever issued a security clearance by the United Nations, and is the youngest to sit in the General Assembly — even if it was in the arms of her doting mother. Before the events of last Friday unfolded, Ardern was the sunny face of her nation, a leader who was being compared to the Antipodean version of Canada’s Justin Trudeau — young, fresh, liberal, a much-needed antithesis to the much-heeded antagonists. Her liberal Labour Party did not win the most votes in the election 18 months ago, but managed to find enough common ground with two smaller parties to form a government. The conservative National Party won the previous three elections and finished with the most votes, but now finds itself on the opposition benches. At her swearing in, Ardern said she understood that not everyone voted for her but vowed to be a leader for everyone. “This will be a government for all New Zealanders,” she said at the time. How very true those words are now. Ardern had promised to make significant changes including banning foreign buyers from purchasing homes, holding a referendum to legalise recreational marijuana, and reducing immigration. Given her kindness, I believe many more now would clamour to live in a nation where she is leader. She has also outlined an ambitious environmental agenda which includes planting 100 million trees each year, ensuring the electricity grid runs entirely from renewable energy, and reducing net greenhouse gas emissions to zero by the year 2050. Somehow, that all seems so irrelevant now. 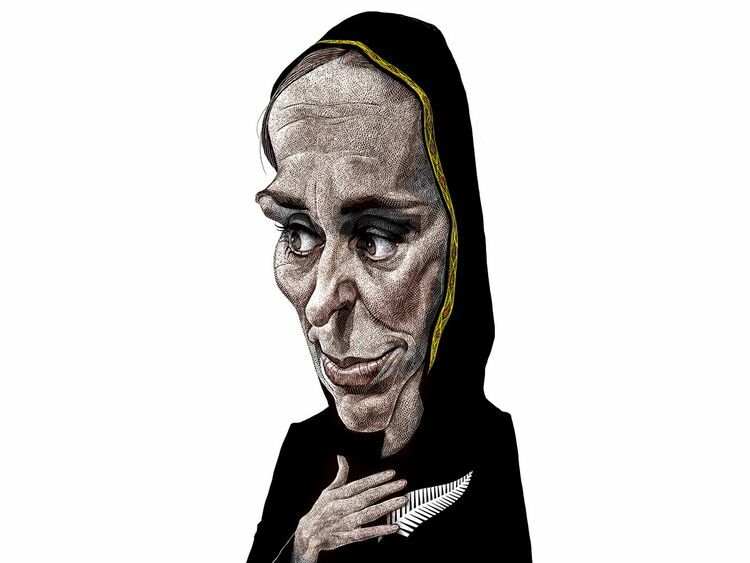 In the first chilling, shock-filled hours after that massacre of innocents, Ardern provided that young mother’s tenderness everyone so desperately needed. “We represent diversity, kindness, compassion. A home for those who share our values. Refuge for those who need it,” she said as the horror began to unfold. That sentiment has echoed across New Zealand in the aftermath of the shootings. In a country, prized for its safety and natural beauty, people had the same refrain: Things like this do not happen here. They should not happen anywhere. And yes, everything is going to be alright.